Fithian and five others, Porter Dickenson, Dudley Lewis, Richard MacMillan, Desmond Stanley, Edward Sultan, Sr and Charlie Cooke, joined together to operate a big-game fishing tournament in Kona. In 1959, just two days after the Territory of Hawai‘i became the 50th state, the Hawaiian International Billfish Tournament (HIBT) launched its first sportsfishing tournament in Kona on the Island of Hawai‘i. In the tournament that continues today, points will be awarded for each billfish weighing 300 or more pounds. The allowed species are black marlin, broadbill swordfish, Pacific blue marlin and striped marlin. Tuna are judged in a different category, with points given for each fish weighing at least 100 pounds. It’s not just sport, it later became evident that there was little or no knowledge about the life cycle of the marlin. Due to John C. Marr’s urging, the HIBA Board founded a 501C3 Scientific Corporation and called it the Pacific Ocean Research Foundation (PORF). 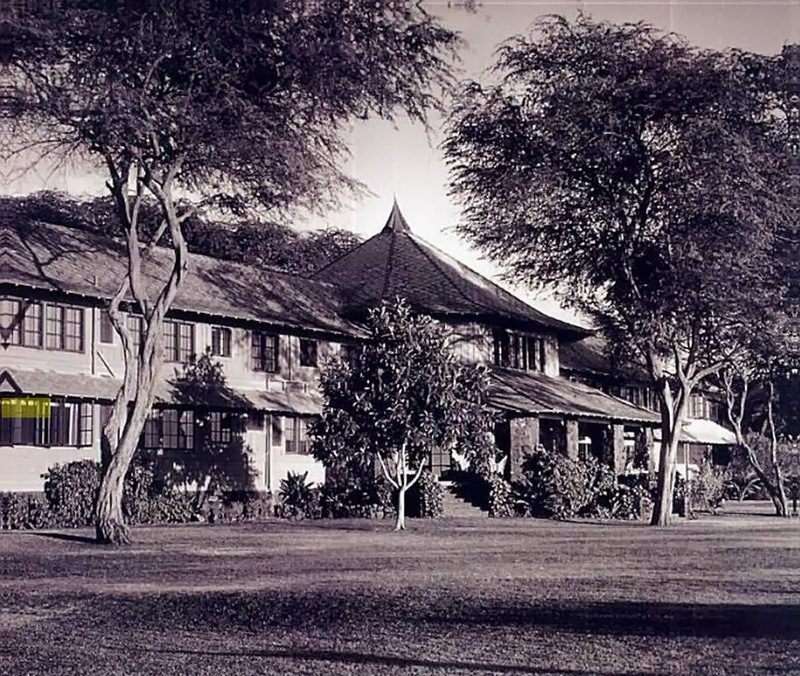 The Kona Inn was also instrumental in developing the Kona Coast as one of the world’s greatest fishing areas. With the Inn as unofficial billfish tournament headquarters, the place has attracted marlin fishermen from all over the globe. 7:30 am, at the first of five days of fishing, ‘Longnose’ broadcasts over the tournament radio, “Billfishers, Billfishers, Billfishers, Start Fishing, Start Fishing, Start Fishing,” starting the tournament and the ‘and they’re off’ race to respective fishing areas. Longnose is the radio call name to Tournament Control; longtime Longnose, manning the radio, was Phil Parker. He and his brother (and subsequent sons) were iconic Kona marlin fishers. The 59th Annual Hawaiian International Billfish Tournament will be held Saturday August 4th, 2018 – Sunday August 12th, 2018; again, in Kona, as it has been since the beginning. During the 1920s, the Waikīkī landscape was transformed when the construction of the Ala Wai Drainage Canal, begun in 1921 and completed in 1928, resulted in 625-acres of wetland being drained and filled. With the San Souci, Moana and Royal Hawaiian in place, more hotel construction followed. Except for Waikīkī, Hawaiʻi was largely undeveloped for tourism, other than small places like the Big Island’s Volcano House, which started to welcome guests in 1866. Like many of the other early visitor-oriented accommodations, it was owned by a transportation company, Inter-Island Steam Navigation Company, under the guidance of Stanley Kennedy. In part, hotels served to increase their passenger load revenues. They were wrong; it was a success. In the early-1950s, Walter D Child Sr became a director of Inter-Island Resorts, Ltd and later acquired the controlling interest in the company. Child first came to the Islands in the early-1920s and worked with the Hawaiʻi Sugar Planters Association. Following a decade at HSPA, he left sugar and entered the visitor industry, first acquiring and operating the Blaisdell Hotel in downtown Honolulu in 1938; then, he formed a Hui and purchased the Naniloa in Hilo. When Walter Sr. suffered a debilitating stroke in 1955, Dudley Child succeeded his father as president, at age 26. Dudley was no stranger to the visitor industry; at age seven, he was running switch boards and elevators and later studied hotel management at Cornell University. In the mid-1970s, growing competition from the big hotel chains affected their business; direct flights to Hilo from the continent stopped, killed the occupancy rates at the Naniloa; later, a United Airlines strike sent Islands-wide occupancy levels plummeting; an economic downturn added to the woes. The high-leveraged Inter-Island Resorts had to sell. In 1976, the Kona Inn, forerunner to the Inter-Island chain, was sold and overnight guest accommodations were stopped; it was converted into a shopping center in 1980. Chris Hemmeter bought the Maui and Kauai Surf resorts; ultimately, piece by piece, all properties were sold. The image shows the ocean side of the Kona Inn (Hibbard.) In addition, I have added related images in a folder of like name in the Photos section on my Facebook and Google+ pages.